MOROCCO : Sharing experience in renewable energy with Africa - SoMed! Morocco, the African leader in the development of renewable energy in Africa, organised a workshop on energy efficiency on December 17, 2018. The objective is to transfer skills for capacity building in other countries on the continent. The challenge for Africa is to provide low-carbon lighting to more than 600 million Africans living in rural areas. Morocco reaffirms its willingness to spread the skills acquired in the renewable energy sector throughout Africa. It is the purpose of the training workshop, organised on the 17th of December 2018 in Marrakech under the theme: “Renewable energies and energy efficiency at the service of decentralised electrification and solar pumping in Africa”. The initiative aims to strengthen the technical and operational capacities of African countries (and friends) of Morocco in the energy efficiency and renewable energy fields, based on the Moroccan experience in the domain. The workshop includes training programmes composed of theoretical and practical sequences, with an emphasis on the role of decentralised rural electrification systems, solar pumping and impact on socio-economic development. The training is provided on a technical level by the Moroccan Agency for Energy Efficiency (Amee). The director, Said Mouline, ensures that the African continent is now more than ever called upon to strengthen its energy efficiency capacities. “More than 600 million Africans have no access to electricity while the continent has great potential for renewable energy,” he said at the start of the meeting. In the 2019 Climate Change Performance Index (CCPI 2019), Morocco is now the leading African country and the fifth largest in the world in its efforts to combat climate change. 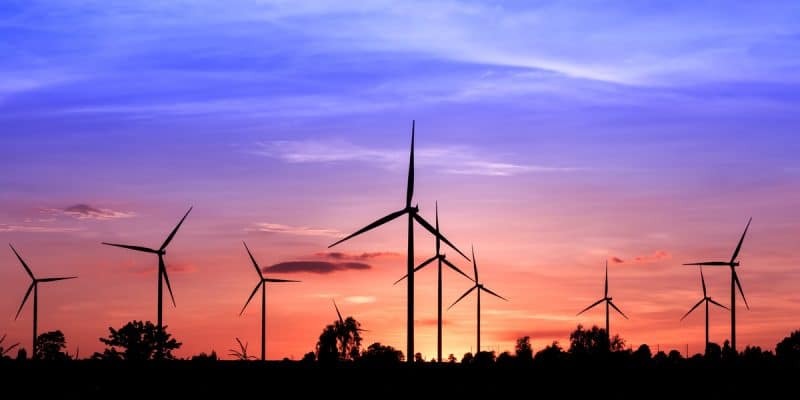 The country is on track to meet its electricity mix target of 42% renewable energy capacity installed by 2020 and 52% by 2030, thanks to the connection of the world’s largest solar power plant (the Ouarzazate power plant, 160 megawatts) and new wind farms to its electricity grid. It is on the basis of this success that the Cherifian kingdom is assisting other African countries. In 2016, following COP22, the Moroccan International Cooperation Agency (Amci) launched capacity building programmes in partnership with the Amee for partner countries from the African continent. The training features the participation of some twenty actors from the private, public and voluntary sectors, from Togo, Senegal and Mauritania. More recently, at COP24 in Katowice, Poland, the Kingdom signed a memorandum of understanding with Senegal on environmental cooperation. “This memorandum aims to implement the environmental protection policy defined in both countries. Senegal should in particular benefit from Morocco’s experience in waste management and renewable energy,” said Nezha El Ouafi, Secretary of State for Sustainable Development in Morocco. It is another example of Morocco’s green diplomacy towards its southern neighbours.